Home of Grace began in 1965 and is a drug addiction and alcohol rehabilitation center based in Vancleave, Mississippi. Home of Grace offers a strong Christian faith-based program to meet the needs of those struggling with addiction. The women’s campus is located in Gautier and the men’s campus is in Vancleave. Home of Graces’ statement of faith is that they believe that the Bible is Gods’ holy word in its entirety and inspired in every part by the Holy Spirit. They trust that all are saved through grace and that anyone can turn their life around. Home of Grace is holding their annual golf classic at The Preserve Golf Club to support their efforts to provide assistance to local families and individuals in need. There will be a double shotgun start 8 a.m.and at 1:30 P.M. on June 8th.Sponsorship packages are still available and prizes will be awarded in many areas. You never know who might drop by and participate! Mississippi celebrities in the entertainment world and political scene have taken part in the fun over the years. Entry includes golf fees, lunch, a polo golf shirt and more. It’s easy to register online at http://www.homeofgrace.org. Larry Hammonds, Community Relations Director for Home of Grace, says that this year, they are hoping to raise more than the 35K they earned last year. “Danny LeBlanc from Gonzales, Louisiana caters all the food and it’s amazing! If a player is the first to get a hole-in-one, he, or she, will win a beautiful car from Estabrook Lincoln Mercury. We’re also giving away $10,000 cash and an EZ Go golf cart in our group of prizes,” Hammond said. Home of Grace has a 43% success rate when rehabilitating those who come to the home and go through the program. Clients who come to the home are shown a daily way to make healthy progress in the areas of mental, physical and spiritual growth. Clients remain for 13 weeks and are involved in counseling and a two phase program that enables them to learn a good work ethic and healthy ways to manage their stress. Entire families are impacted by the work that is done at the Home of Grace. 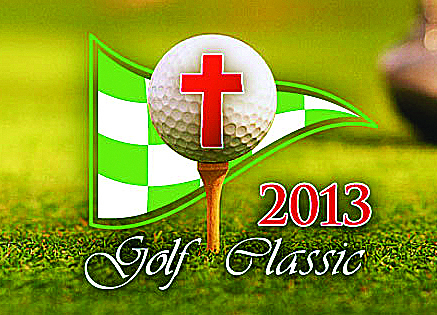 Please help support their efforts by being a part of this year’s Home of Grace Golf Classic. To become a sponsor contact Larry Hammonds at 228-217-1907 or FG Ware at 228-217-8085.